THE GOVERNMENT HAS COMMITTED TO CREATING THREE MILLION APPRENTICESHIPS IN ENGLAND BY 2020, PART FUNDED BY AN APPRENTICESHIP LEVY APPLIED TO BUSINESSES WITH AN ANNUAL PAY BILL OF £3 MILLION OR MORE. 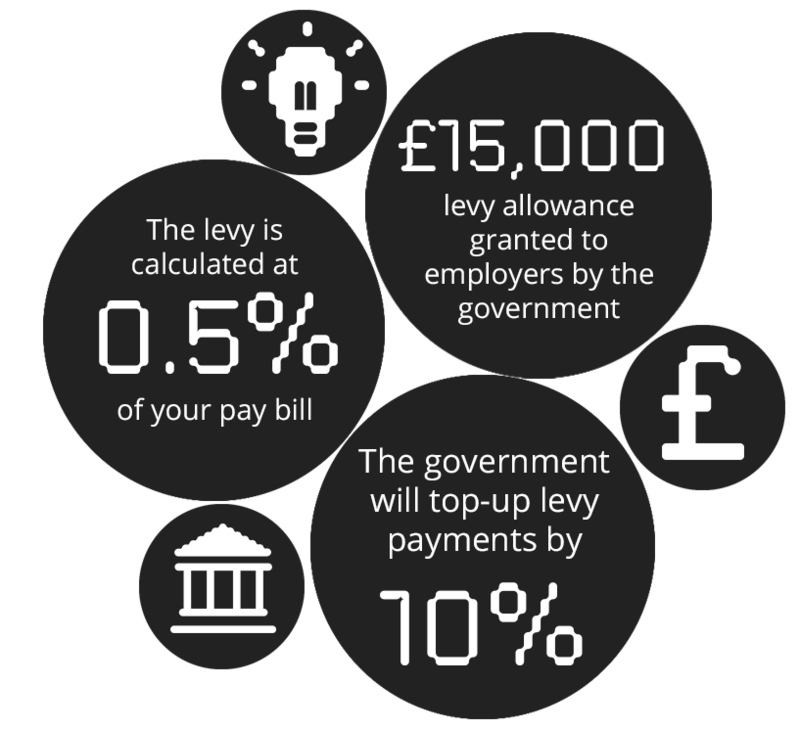 The levy is charged at 0.5% of your annual pay bill and is paid through PAYE. The Government will apply a 10% top-up payment to funds contributed, which will be collectively accessible through an online account called the Digital Apprenticeship Service. Companies will create an account and both the levy and Government top-up will be processed monthly. The funds must be used for apprenticeship training and assessment with an approved training provider and assessment organisation. If your pay bill is less than £3 million, the Government will fund 90% of your apprenticeship training costs. If you have fewer than 50 employees, the Government will pay 100% of the costs for apprentices aged 16-18, and those aged 19-24 with an education and health care plan. More information on the apprenticeship levy can be found on the Government’s website, click here. The National College is registered on the ‘Register of Apprenticeship Training Providers‘. To talk to a member of the college team about the apprenticeship levy and how the college can help with training your apprentices, email us at [email protected] or call us on 0330 120 0375.